After collabs with Wish and atmos, PONY is working with Art Comes First. 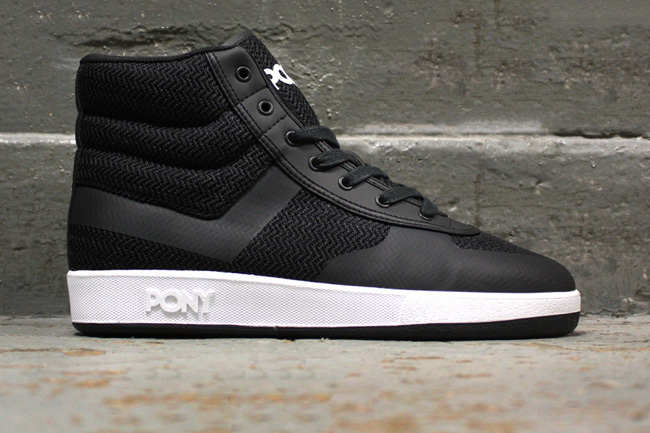 The Sam Lambert and Shaka Maidoh founded entity is reviving some PONY classics, the Jumpshot and Linebacker. For the Jumpshot, Art Comes First has given the traditional basketball silhouette a modern adaptation with a herringbone upper that is shaped with pressure fused tape detailing. The Linebacker reissue is stepping on classic cleated sole with a dressy upper that is sculpted in a mix of leather and textile with a moccasin style fringe on the lace guard. 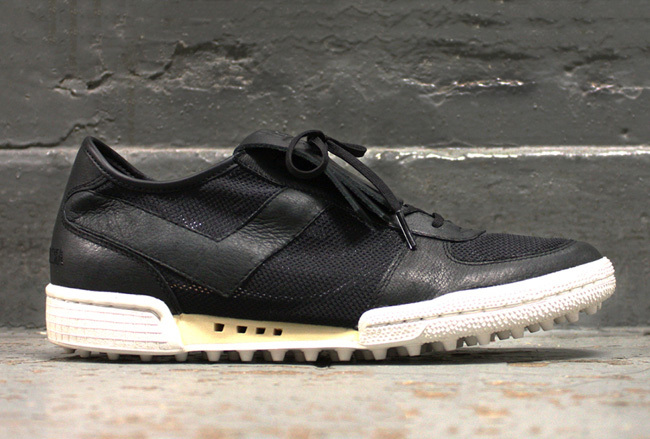 The kicks are scheduled to release in June as a Dover Street Market exclusive.